I recently read an article on Fast Company, in which angel Investor Peter Shankman laid down a $5,000 donation bet that Yelp’s business model will fail by next year. He asks why, in the “conversation economy” that we live in, would he rely on the reviews of complete strangers when the feedback from his friends on Facebook and Google+ is so readily available. This term―conversation economy―really got me thinking. Though we’ve always placed a high value on word of mouth, social media has exponentially increased that, not only online, but in the real world. I’ll give you an example. 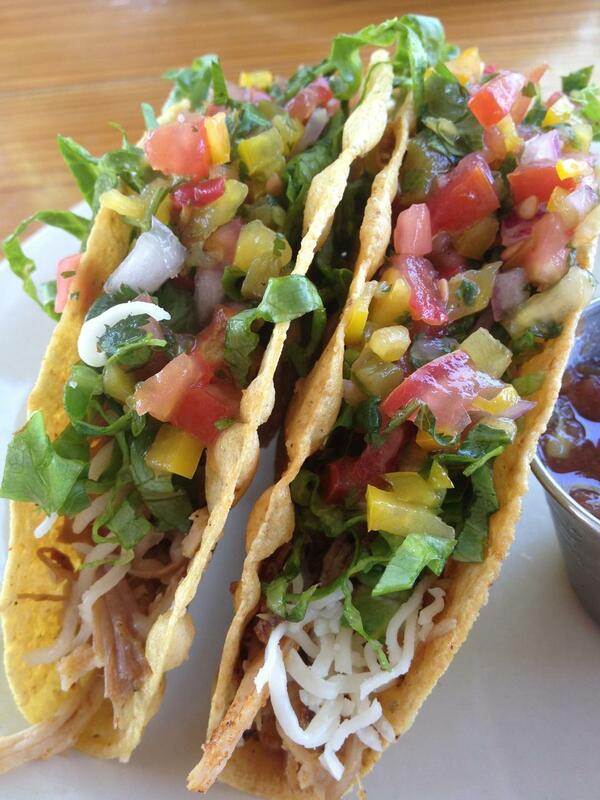 You can’t beat these tacos. A newer coworker at Main Street Hub recently became friends with me on Foursquare. She then began the obligatory creeping my check-ins to see what’s good (her words), when she came across a check-in at one of my favorite local Austin spots―Elaine’s Pork and Pie, and the accompanying photo. She asked me about it as we were getting coffee one morning, and I began the effusive raving that this little spot deserves. Amazing food, sweet service, and cheap prices. While we were discussing this, another coworker overheard the words “Pulled Pork Tacos,” and became interested in our conversation. Another was passing by and asked if we were talking about Elaine’s Pork and Pie, and also began talking about how much he loved the place. Remember those anti-tobacco Truth commercials, where the little asterisk appears above everyone’s head? Yeah, it’s something like that. More than ever, now that Facebook’s Graph Search and Google+ Local search have incorporated your friends into what you’re searching for online, word of mouth is king. Positive experiences, check-ins, and good reviews from friends of potential customers (with Facebook allowing a star-rating and has teamed up with OpenTable, as well) can turn into real world dollars and ROI for a business’s bottom line. Just the opposite can happen if those experiences aren’t ideal or if poor experiences go ignored. Businesses simply cannot allow themselves to remain deaf and blind to the conversations that are going on about them. Participation is mandatory. How has this change to the conversation economy affected your business? Have you had a similar experience like the one I describe above? Have you been to Elaine’s Pork and Pie? (If you’re in Austin, ever, GO. THERE.) Share your thoughts in the comments below. Now go get your social on! With their latest 7.0 app update, Yelp asks you to sit down, because this one’s a biggie. In their words you can now “visit any business page, tap “add review” and go bananas.” That’s right―Yelp has added the ability for your customers to write a review in the moment, on their mobile device, via the Yelp app. Please, ladies and gentlemen, don’t go bananas. Yelp responsibly. Pessimist – Open the flood gates of angry people. Hell hath no fury like a mobile Yelper. Now that people can easily leave reviews in the heat of the moment, without first cooling down and hopefully rationally approaching a situation (or forgetting about it entirely), 1-star review hell will break loose. Realist – There will likely be some occasional anecdotal instances of both the above, but largely things will remain the same. Elite and consistent Yelpers will continue writing their reviews, possibly more often since they can do so immediately. You may see more people hanging around the table or salon, tip tapping away their experience into their phone, but I don’t expect to see a massive influx of changes to reviews. Here’s what it should not mean, however. All business owners should not encourage their employees to download the app and write bogus reviews for their business. I have no doubt that Yelp has thought this through, being that it’s taken this long for them to add such functionality to their app, and have put some sort of safeguards in place (geo-tagging or GPS functionality, perhaps?). Don’t be that business. It always turns out badly. What do you think of this new, obviously overdue addition to the Yelp app? Good, bad, ugly? Share your thoughts in the comments below. 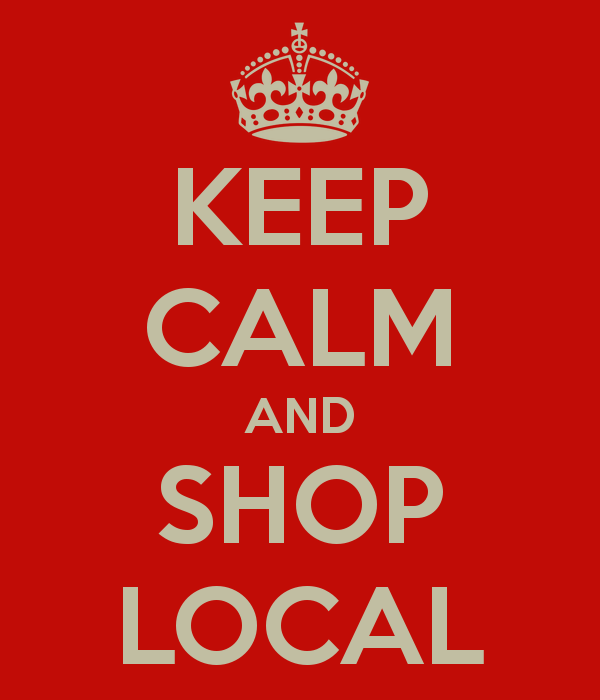 ‘Tis the season…to shop local! Whether you’re excited about it or begrudgingly accepting it, the holiday season is in full swing. Thanksgiving is next week and the bell is about to ring for full-on holiday shopping. Hopefully, Black Friday will bring you some business during the big-box store madness, but what I personally get really excited about is Small Business Saturday. It’s the small and local business-focused shopping day between Black Friday and Cyber Monday where your business gets a chance to shine and show customers why it still pays to shop local. The question is, are you prepared for it? You want to get the word out, you want to make sure people are excited about taking time to support their local economy and find the unique products and services you provide, but where do you begin? If you haven’t previously started hyping this up, you’re at a disadvantage already, but it’s not hopeless. The first thing you need to do is start creating excitement and get the word out. 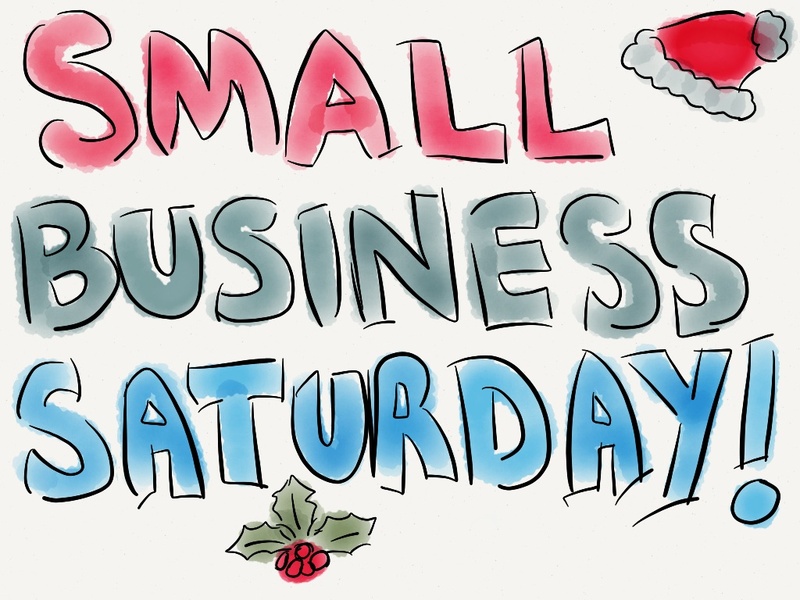 Small Business Saturday has only been around for a few years, so some of your customers may simply not know that it exists. Mention it to your customers in the store, put some messages out on your social sites and get people talking. ‘Like’ the Small Business Saturday Facebook page (link at the end of this post) and start mentioning it on Facebook (tag the page so people can check it out, too). Also, just because you’re a small business doesn’t mean you can’t take a page out of the big guys’ books. Start offering ‘sneak peaks’ this week of specials you’ll be having, or plans you’re anticipating to make the day fun and different than any other shopping day. Make sure you mention any adjusted hours so people know they can hit your store earlier or later than usual. Feel out your customers. What are they most excited about this shopping season? What items are on their wish list that they should buy from you? What do they hate about holiday shopping that you can potentially make easier on them? These are the kinds of things you should be asking to get a temperature of your customers’ feelings at this hectic time of year, and try to provide the more personalized service and experience that makes shopping local so great. Not a small retail business? That doesn’t mean you have to be left out. Cater your specials to weary holiday shoppers! If you’re a restaurant, have a Small Business Saturday shopper menu with items at a discounted price. A coffee shop: Provide a discounted cup of coffee or free flavor shot to fuel up those people who are shopping locally. Spa or salon? Offer specials to local shoppers to unwind after a busy and stressful shopping day. The possibilities are endless. Just be sure to remind them that participating in “local” is what got the them their special treatment. It’s about community here, folks. Now, the review responder in me must add this last point. This is your opportunity to shine and remind people that you exist right down the street from them. Make sure you’re properly staffed, everyone has a smile and is excited to be part of the experience. Remember that many of these customers may have already dealt with ludicrous and potentially dangerous crowds elsewhere and may be on edge. You don’t want all of your hard work to unravel in the form of a slew of unhappy customer reviews. If you find the holiday season too overwhelming to handle your social media presence, the company I work for, Main Street Hub, can alleviate the stress of handling and monitoring your online presence. Check us out! What kind of things are you planning to make this year the best for your small business? If you’re not a business owner, do you plan to participate in all three “shopping holidays”? (Black Friday, Small Business Saturday, Cyber Monday) What are some crazy or unique specials, gimmicks or tactics that you’ve already seen? Let me know below with your comments. Customer attention spans are becoming shorter and and more thinly spread as each new gadget, network and mobile device hits the market. You cannot simply hope that a customer will get over a bad experience and continue doing business with you because it’s too much hassle to search out other options. It’s so easy now for people to find your competitors’ presence online and seek them out, quickly forgetting that you ever existed. Let’s be honest, they can and will do it from their mobile device, while they’re still inside your business. If you’re especially unlucky, they’ll leave you with the parting gift of an awful online review. I’ve discussed tips on diffusing that kind of situation here. The answer is moderately simple, but is never easy. There’s an age-old remedy to keeping your customers’ attention, maintaining their loyalty, and adding value to your product or service. Two words: Customer Service. As social media ROI is becoming more evident (thus getting more SMBs to begrudgingly establish an online presence) it’s even MORE important to maintain focus on face-to-face customer service. As potential customers find you online and give your business a try, you’ll need to make sure their experiences keep them coming back. If the service isn’t there, all your digital efforts are for naught. So very often, in the reviews that I work on for clients, I’ve seen people say something to the effect of “the food/product/work wasn’t that great, but the service was fantastic. That’s the only reason I’d give this place another try.” I also often see, “The food/product/work was great, but I can find that somewhere else. It’s not worth putting up with the awful service I received.” Rarely do I see people state that they’d come back because the product is so good, even though they felt mistreated or received poor service. We intrinsically hold high value on how we’re treated at a business, even though the product is likely what brought us there in the first place. If your business is providing fantastic customer service, this gives you a bartering tool with an unhappy customer, and may help you keep them from never returning. You can try to fix the product that they didn’t like. You can ensure them that it will be better next time, and they may take your word for it. It will likely be a lot tougher to convince someone that they’ll receive better service next time. Poor service really sticks with people. A great product can bring people through your front door, but great service is what’s going to keep them there and create loyalty. It even adds an intangible value to your product. It’s important. If you can’t provide great service to your customers, hire someone to do it for you. It’s worth every bit you invest into it. 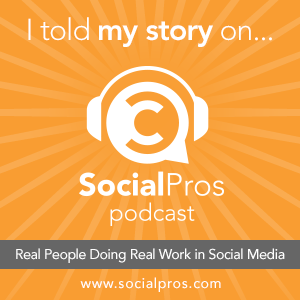 Do you have any customer service success stories, on either side of the experience? Have you experienced a missed opportunity by a business that led to you seek out their competitor(s)?